Rose Greenbaum - Dinerman: Survived as an "Aryan"
"Gombin: dos Lebn un Umkum fun a Yiddish Shtetl in Poylin"
Gombiner Landsmanschaft in America, New York, 1969. The summer of 1939 was a pleasant one. September appeared full of promise. But along with the splendour of nature, the bloody was suddenly burst over our heads. The Germans fell upon Poland on the first day of September 1939. In spite of the fact that Gombin did not have military installations, they bombarded us for three days in a row, sowing death and destruction among the helpless populace. When the bombs began to rain upon us, we ran to the fields for shelter. My father stayed behind, refusing to leave the house. He spent most of his time aiding the wounded and the maimed. Then the Germans entered Gombin and transformed the life of the Jews into a Gehenna (inferno). 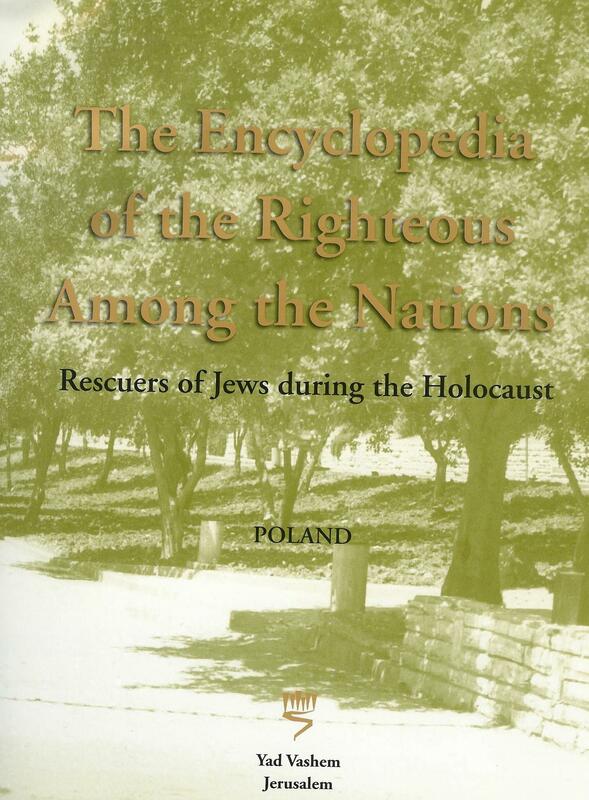 Soon after their arrival, the Germans rounded up all Jewish males between the ages of fifteen and sixty-five and took them to the large synagogue, which had the reputation of being one of the finest in Poland. They put the synagogue to the torch and burnt it down. The assembled Jews were pushed and shoved toward the billowing flames, beaten savagely all the time. My brother, Stan, was among those beaten and tortured; he hardly escaped with his life. Every passing day the Germans beat their drum and announced new disabling decrees aimed at the Jews. The Jews were ordered, from start, to turn in their gold, pay all kinds of fines and wear the yellow Star of David on the chest and shoulder. We were forbidden to walk on the sidewalks - only the middle of the road. We were ordered to clean up the debris caused by the German bombardment and to keep the business establishment closed. The disabling decrees multiplied daily and life became unbearable. One day, twenty German soldiers poured into our house, led by a young Gentile, Albert Fatt, the son of a German, who used to deal with my father. The Germans said they came to search for weapons; but this was nothing but a badly-disguised lie. The Germans turned our house upside down, taking away all objects of value. Many of the things which they seized, Albert brought outside, where a crowd of Poles assembled to enjoy the pogrom. I had been away from home, returning in the middle of this scene. Seeing me approach, Fatt pointed the gun at me, threatening to kill my whole family, myself included, unless I revealed where we hid the weapons. "You can search wherever you please," I told him. "You know very well we don't have any weapons." Shortly, the Germans emptied my father's store room of the wheat and went through the legalistic ritual of signing for it. On the following Christmas it turned colder. On that day there arrived from Lodz a Gestapo man who walked the streets of Gombin and whenever he saw a Jew, beat him with a rubber truncheon. He broke into Jewish homes, ordered the women to remove all their clothes and beat them within an inch of their lives. One day, accompanied by two other Germans, the Gestapo man entered Sala Luszinska's house, where the three of them got drunk; later they broke into the Rosen's dwelling, where the Tiber family who had a girl of eleven and a boy of six, lived. The besotted Germans ordered the little girl to accompany them. Pleas and tears proved no avail. They took the girl with them. The parents ran to the Jewish Committee, to the police, the mayor, pleading for her release. A day later, she was found in the field, dead naked, violated. The despondent parents never recovered from the blow. The mother would not let anyone tear her away from the girl's grave; she died several months later. The kidnapping of Gombin Jews on the streets to be pressed into work gangs, the beatings and the tortures became a daily occurrence. But the news trickling in from surrounding towns was even more gruesome. The Jews of Kutno were all ordered by the Nazis to abandon their dwellings and move into a vacant factory. Early in 1941, the Jews of Kutno, Kolo and other towns were deported to the Chelmno death camp. It was the first time we heard of vans in which Jews were being gassed to death, of mass graves, of Jews being forced to dig graves then being shot and buried in them. At the start, none of us let any credence to these stories, but daily the evidence increased that what we did not wish to believe was a fact of life. Early in the fall, the finger of death began to point at Gombin. At first, the Germans deported a hundred young Jews to the Amsee forced labour camp. My brother, Albert, was among the first to be taken. They came for him in the middle of the night. His hands trembled when he got dressed to follow them. My brother, Stan, who was married, ran to the Judenrat, accompanied by our mother and myself, to plead for Albert. But it was to no avail. Despondent, we stood by, gazing at our loved ones being loaded onto open trucks and driven away to the camp. In the fall of 1941, the Germans issued a decree interring the Jews of Gombin in two Ghettos. One of the ghettos was near the forest, the other was along both sides of Cobbler Street, not far from the cemetery. We were forced to leave our house and moved into dentist Greenboim's dwelling. Soon afterwards, the Germans issued another decree: head-tax. From two Jews who escaped from Kolo, we found out that the head-tax was the beginning of the end, that after this decree the deportations began. One night we heard heavy foot steps nearby, blows and screams. Our door flew open and a German entered. His murderous gaze fell on my father whom he ordered to dress and accompany him. We knew they would send my father to a camp, but all our pleas and tears and words to the effect that our father was old and unsuited for heavy work proved to no avail. With the arrival of dawn, we made up a package of food and clothing and I took it to the town garage where the Jews were being held, pending deportation. I found my father deep inside the garage, sitting in the company of his friends: Zalman Kerber, Yankl Klinger, Yankl Tiber, the teacher Frenkel and others. When he saw me, my father's face became even more sombre, as my coming was a perilous thing and might end tragically for us both. My father's last words to me were: "Don't lose courage, daughter, our enemy's end is near..." We embraced and I left. I never saw my father again. My father's letters from the camp were comforting and uncomplaining. He seemed determined to cause us no anxiety. But from others we learned that conditions in the camp were unbearable. We sent food parcels, but he received only a couple of them, as they deported him to another place. The last letter we received from my father, was from Libernu, a camp in Poznan. One day we received a letter, but it was not from my father; it was from the Jewish congragation informing us briefly about my father's death. According to them, he died in the following manner: he had gone to the forest to chop wood for the camp; on the road he was struck by a Gestapo motorcycle and died of a hemmorrhage. My father did not live to receive the last parcel we sent him, nor did he live to witness the enemy's demise, for which he so fervently hoped and prayed. Tragic was his death and sacred his memory. The numbing frosts came early in the winter of 1941. It was so cold, each morning children were found frozen to death. During that period, my brother Albert, accompained by two young men, Rosenberg and Zalmen Bressler, ran away from camp and returned to Gombin. We sat in our house and talked about the possibilities of saving our lives. My brother and his friends brought up the notion about seeking shelter on the "Aryan" side, outside the ghetto. But we had heard not long ago about the four Zychlin girls who fled from the ghetto to the "Aryan" side and there, found by the Germans, were shot to death. Our mood was a despondent one. It occurred to us that instead of dying by the Nazi hand, we take our own lives. But we also knew that we must cling to life to the very end, no matter how small our chances of survival, to spite our enemy. Soon afterward, it was decided that my brother Albert and myself try to break out of the ghetto, as our only chance of remaining alive. My brother left first and my turn came on March 17. I rose early, said goodby to my mother. She wept, embraced me and said: "Remember, no matter what happens to us, you must do all you can to live." My brother's son, Izho. was asleep. I stood for a long time over his little bed, gazing at his bright, innocent face. My eyes filled with tears, I left the house, accompanied by my brother and sister-in-law who took me to a waiting cart which was to take me to the peasant village of Szczegowo, in East Prussia. According to rumors, the Germans' murder gangs were less in evidence there than in the "Government General" ("Generalgouvernement") and chances of survival were better. Riding on the cart along with me, was a Jewish couple named Glass, who had relatives in Szczegowo. They assured me that on arrival at our destination, their relatives would help me. The day was cold, the sky seeded with dark clouds. Snow began falling on us who sat in deep silence, wrapped in our own thoughts. After we'd covered ten kilometers without incident, there suddenly emerged from the blinding snow a man who stopped the cart in which we were riding and asked the driver: "Who are your passengers?" "'Wealthy Jews," the driver replied. The stranger measured us with a sharp gaze, left and soon returned, accompanied by a German policeman. The policeman ordered our driver to a nearby courtyard. The Glass couple trembled with fear and my heart beat wildly. We were led into a room full of uniformed Germans: Their first order was for us to give them all we owned: money, gold; diamonds. They searched us but found nothing. After detaining us for hours, they took us back to the cart and said we would now be taken to the Gestapo headquarters. Hearing the word "Gestapo", my blood froze. But most frightened was Glass, who had a bad heart. He seemed crushed by the news, his face pale, his lips trembling. He appeard on the point of a heart attack. The distance between the courtyard and the Gestapo headquarters was short. A German soldier led us inside. We saw behind a large, shiny desk a German who appeared to be in his fifties. He regarded us with his blue-green eyes, then turning to me inquired whether the Glass couple were my relatives. I replied in the negative and pleaded with him to have pity on my "old mother" and let me go back to her. He grew thoughtful for an instant and it seemed to me I noticed in his eyes a spark of human empathy. Suddenly two young well-fed Gestapo men came in from another room. They did not come near us, but remained at a distance, gazing at us with disgust, as of our presence in the room made the air unclean. Gazing into the eyes of these men, made me shudder. These were the eyes of sadists and murderers. A moment later, they left the room. The older man who sat behind the desk, followed them. We heard them conversing behind the door, first in even tones, then shrilly and loudly. Soon the older man returned, his breath wheezing. A tall Gestapo man followed him and motioned with his finger to Glass. The sick old man rose and followed the Gestapo man; his wife who stayed behind, turned chalk white. An instant later we heard piercing cries of pain that chilled the heart. Then Glass came stumbling in, white foam at the corners of his mouth, his body trembling. The husky, red-headed Gestapo man turned toward me and roared: "Come here!" I followed him into a large room in the center of which was a large table, its top a forest of large spikes. On the floor were large metal chains. The windows were laced with iron bars. The four Gestapo huskies ordered me to take off my coat. One of them demanded I give them my gold, money, diamonds and other valuables; if I failed to comply and if any found anything on my person, they would beat me to death. I reached for a kerchief in which I had tied a watch and a gold ring and was about to give it to them, when one of the Gestapo men said: "put away that dirty handkerchief you dirty Jewess!" I was ordered to bend over a chair. An instant later, the red-headed husky stood over me with a rubber truncheon in his ham-like hands. I fell on my knees and bent my body over the chair and the German began to beat me. Suddenly, goaded by the unbearable pain, I turned and grabbed the rubber truncheon and actually wrested it from him as strength surged through my body from some inexplicable source. His anger rising to fever pitch, he pulled the truncheon out of my hands and began striking me with the handle. Each blow was a knife-thrust. The pain was maddening and I screamed wildly. When he stopped to rest, I rose to my feet, seized my coat and ran to the door. Nobody made an effort to stop me. I ran past the older German who sat behind his desk and the Glass couple who huddled in the corner. I plunged for the door and emerged on the street. Outside, I ran the length of two blocks before stopping exhausted, gasping for breath. A curious calmness possessed me as I turned a grievous glance at the Gestapo building. Approximately an hour later the Glass couple emerged from the Gestapo building. They walked slowly, barely able to raise their feet from the ground. Their faces were tear- stained as they held on to each other like two children lost in a storm. The old woman was in a bad way; I thought her end was near. The cart in which we had been riding, was waiting for us. We got in and continued our interrupted journey to Szczegowo. The Glass relatives were on hand to greet them. That night, the woman died of a heart attack. Life in Szczegowo was a little less hectic than in Gombin, but this did not last long. Jewish refugees began arriving from various towns, from Mlawa, Gostynin and Sierpce. Living conditions became progressively worse. The Germans rationed our water for which we stood in long lines. But one was more secure here than at home and I began thinking about bringing the family. After several inquiries, I found a young Jew who undertook to do it for me. Lindenbaum by name, a dental technician by trade, he planned to go to Gombin to buy instruments. On his return, he promised to bring my mother, my brother Stan, his wife and the seven-month old boy. Several days later Lindenbaum did in fact come back, but instead of my family, he brought us the dreadful news that Gombin Jewry was no more. The end came in the following manner: on the 17th of April, the ghetto was surrounded by the Germans. Then they went in, gun and truncheon in hand. They beat those who were well and shot to death the sick. Among their first victim were Leizer Kot and Helena Zychlinska. My mother was seen heading toward the deportation point, dragging a parcel of clothes. She threw away the clothes, as they were heavy. A German began raining blows on her, ordering her to pick up the package. The cries of the people as they were being driven to the deportation point, rose to heaven. The Gombin Jews were held for three days near a forest, without food or drink. The men were separated from the women and the women from the children; the young from the old. From Christians I found out later that mother succeeded in escaping from the clutches of the Germans and hiding with a peasant family. But some Poles informed on her and she was dragged out, beaten murderously and brought back to the group held near the forest. On the following day, the people were taken by trucks to their death. The road was soaked with blood. In this manner did the Jewish town of Gombin come to an end. Conditions in Szczegowo grew daily worse. People were being seized in the streets and put to work; they were arrested and murdered. One of the first victims was Lindenbaum whom the Germans wounded, then buried alive. He was twenty two years old. The terror increased. One day, the Germans put up fifteen gallows in the middle of the marketplace. They hanged fifteen Jews in the presence of the whole populace which had been forced to witness the gruesome ceremony. One of the victims, an instant before the noose tightened, cried: "Long live freedom! Death to the murderers!" The man's defiant cry died in his throat as the noose tightened. Blood-curdling sobs and shrieks filled the marketplace as the Germans rained blows on the people and the families of the fifteen victims who watched them dangling from ropes. It was then I began seriously thinking about running away to the "Aryan" side. My hair which was black, I dyed blonde and left Szczegowo for a nearby village. The first peasant household where I inquired, had a bed for me. The peasant who knew I was Jewish, entrusted me with the task of teaching his children. I also worked out in the fields and learned how to milk a cow. During my leisure time, I studied by myself, in privacy. At the time, the Germans issued a decree forbidding Jews from leaving the ghetto under the penalty of death. On my part, I made up my mind that my only chance of survival was to go to the "Aryan" side and assume the role of a Christian. I could not go on staying with the peasant, who knew I was Jewish. I put on several summer dresses, made a parcel of the rest, and started out. I recalled being told by a Jewish inhabitant of Szczegowo that in the vicinity of Koszcebrodi, not far from Sierpc, the Poles were less antagonistic toward the Jews than elswehere. I asked one final favor from the peasant: to take me part way to my destination in his cart. He complied, trembling from fear the whole of our journey. Arriving at the road, where I was to proceed on my own, he urged me to get off and quickly disappeared. I remained alone in the middle of the road. What was one to do? where does one go? 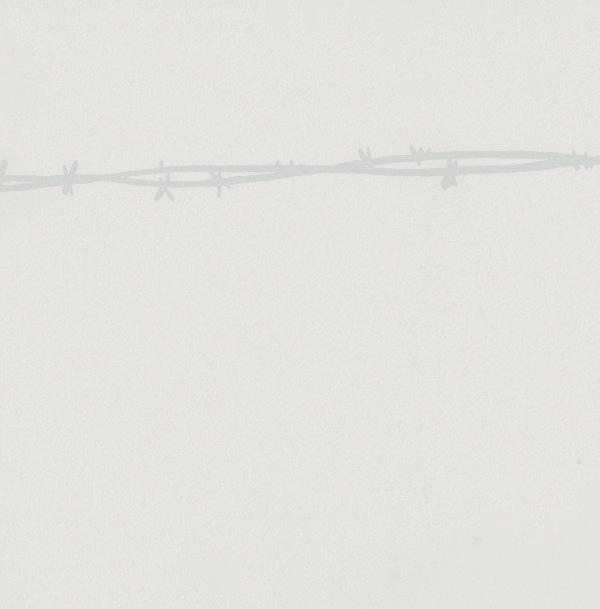 In the distance, across a vast field, I saw a spot which I judged to be a house. I started across the field, in the direction of the house, my spirits buoyed. Nearing the dwelling, I pushed open the door, went in and called out in a loud voice: "Jesus be praised!" I paused, waiting for a reaction to my words on the part of the peope in the room. Had they recognized my being Jewish? But apparently they did not recognize it because they replied: "Through all eternity, amen!" I told them I was on way to a funeral in Joniec, but lacked a German permission; could they tell me how to get there without attracting attention? They obliged by showing me a path and I left in a good frame of mind, having passed my first "Aryan" test. Out on the road again, I approached a peasant with a cart and told him I was sick and on the way to a doctor. Would he take me along? I did in fact look sick, my hands trembling. The peasant nodded assent and I got on. We rode until we reached a forest. I thanked the peasant for the ride and got off. I entered the forest. Dark began descending. The thought uppermost in my mind was: where would I spend the night? I spied a little tumble-down shack among the trees, went towards it and knocked. A voice from the inside asked: "Who is there?" I opened the door and said: "Jesus be praised!" The people in the room came back with the refrain: "Through all eternity, amen!" I told them I was on my way to a funeral. Would they allow me to spend the night? Their friendliness surprised me. They fed me and put me up for the night. In the morning, they assured me I could stay longer if I wished. But I thanked them and left. Later, I regretted, not having accepted their kind offer to stay. I spent the day walking across many roads and paths. The shadows of evening began to descend. I picked out one of the sturdier dwellings, knocked on the door and went in, saying: "Jesus be praised!" I then asked for permission to spend the night. I was invited to join them at the evening meal. After we ate, I was asked to show my identification paper. I took out a paper, one I wrote myself and signed with my assumed Christian name. Later, I retired for the night, but at two in the morning, my hostess woke me and said I must get up and leave; they could not let me stay as they did not know who I was. She told me to go to the German police and ask for written permission to stay. But before going to the police, she suggested I stop to consult the village head. A sickening fear gripped me. All now depended on how I would do in my role as a Christian. My hosts took me to the village head and left. The man was friendly and tried putting me at my ease. My hosts, he said, suspected I was Jewish. I struck a pose of one maligned. But the village head, maintaining his friendly tone, suggested it was best for me to leave the village without delay. The night was cold and pitch black. I started across meadows and fields, gazing up at the sky thick with clouds. Around me the stillness was that of a tomb. My eyes filled with tears of despondency. All hope was drained out of me. My legs could barely carry me. Suddenly I perceived a small light. Coming closer, I realized it was a little mud hut. I knocked, the door opened. In front of me stood a woman of about thirty, with a Jewish appearance. The hut, I saw, consisted of one room, with a table in the center, a couple of benches and an oven. I told her half the truth that the rich peasants with whom I was spending the night, had become suspicious of me and the village head ordered me to leave. The woman beard me out and startled me by saying I could spend the night in her place, in fact, I could stay as long as I wished. She told me she had a son of eight. Her husband, a chimney-sweeper, travelled around in surrounding villages, coming home on Sundays. She worked for others, supplementing their income. She showed me the hut and the little alcove, where she kept a pig. I will never forget her warm, friendly tone. But I declined her invitation to stay. Her dwelling was too near the village where they suspected me of being Jewish. I rose at dawn and left quietly, without a sound, not wishing to wake the others. After walking several kilometers, I came to a body of water, spanned by a frail-looking little wooden bridge that groaned and swayed underfoot. I was afraid to cross it. Out of nowhere there appeared a young Pole who offered to help me across. Judging by his tone of voice, he harbored no suspicion of me. The brief encounter boosted my sagging spirits and gave me the courage to go on. My goal was the village of Yavorovo, where I hoped to get in touch with the Polish family, Soldanski. I had been given the name by a Jew in Szczegowo who told me the Soldanskis were friendly toward Jews. I inquired after these people and was told where to find them. When I arrived there, two families lived in the house. I knocked on one of the doors. It was opened by a young Pole. I greeted him in a calm tone of voice. I told him a fictitious tale about my family having been deported by the Germans to perform slave labor, while I escaped and was now seeking a place to stay for the time being. He asked me to come in. Inside, I met three of his younger brothers. I gathered from their conversation that they were five brothers, all living under this roof. Their parents were dead. The oldest brother, who came home several hours later, was not averse to helping out a Polish woman who managed to escape the German clutches. On the contrary, he deemed it a patriotic act. He volunteerd to provide me with false identification papers; as one who escaped German slave labor, I could not use mine. The other half of the house was occupied by their uncle, his wife and two daughters, one seventeen-year old, the other - seven. I concluded it would be a good idea to make myself useful to both families. As soon as I became part of the household, I began thinking about my brother. This much I knew about my brother's circumstances: he was hiding in a peasant's hut in a village. I had his address and wrote him a letter. This was the first instance when he was provided with evidence that I was still among the living. Subsequently, all our ordeals notwithstanding, we maintained contact with each other through letters. We realized that we were the family's only survivors, that we were fate's play things. The letters we wrote to each others gave us courage and the will to survive. My first few days in the Soldanski household passed without incident. It occurred to me that my life was entering a period of relative security; I might, in my new guise as a Christian, survive the Nazi deluge. But fate willed it otherwise. Of the five Soldanski brothers, the oldest displayed the most kindness, while the youngest proved the most hostile. He began arousing his brothers against me, warning them of the terrible consequences owing to the fact that I did not possess the proper papers. The situation became so aggravated, the oldest one took me to a cousin of his who was reputed to be a communist. But it became immediately apparent, during our conversation, that the communist was at the same time a vicious anti-Semite. "The only positive thing the Germans are doing," he said, "is killing Jews." I did not remain there very long. The host told me to take my things and leave. It was the middle of winter. Outside the house, the snow lay thick on the ground. Where was I to go? A young Pole - he was the peasant's son - took pity on me and told me of a family living nearby that needed a servant-girl. He showed me in what direction to go and left. Barely dragging my feet in the snow, I managed to make it to the hut, gasping for breath. I knocked on the door and when a woman opened it, told her I heard she needed help. She led me inside a large kitchen and told me to wait. She left and came back fifteen minutes later to inform me I could stay for the duration of the cold weather. On the following morning, I began doing my chores. I milked the cow, knitted sweaters and helped in the kitchen. Three weeks passed without incident or suspicion. But one Sunday, a friend of the household, a Pole named Tobtshinsky, came to call. This man, whom the Germans appointed manager of the dairy, did not take his eyes off me. After he'd had his fill of staring, he took aside my hosts and talked to them in whispers. His visit sealed my fate. Several days later, the woman of the house informed me that I could not remain any longer; the neighbors were suspicious of me. However, she did not let me go empty-handed, giving me an address of a family that was seeking a teacher for their children. But in the new place, too, I remained a short time, the woman of the house telling me I must leave as a German search was in the offing. I went back to the house of the Soldanski brothers and sought the eldest one's advice. What was I to do? During my absence, a Jew from the Szczegowo ghetto had come to the house and asked for me, unwittingly betraying me. Soldanski led me out on the road and pointed to a house in the distance whose owners were always in need of help. The woman of the house hired me without any preliminaries. I worked very hard. I carted heavy buckets of water from the well, did the laundry and washed the floors. I fed the pigs and during my leisure time, knitted sweaters. The work exhausted me and I slept poorly. But here, too, my employment was brought to a sudden end by circumstances beyond my control. One day, returning from the shed where I milked the cow, I heard unfamiliar voices in the room, I stopped to listen. They were talking about me. My hands, they were saying, were very delicate; how come I never complained of the hard work? I must be Jewish, they concluded, with no other alternative. I packed my few belongings and left. After covering a sizable stretch of road, I stopped near a house and knocked; they opened the door and shut it in my face. I had no more luck in the next house. I went back to the road. In the distance, a forest cast its vast shadow. I started walking again, letting my feet carry me across the desolated fields and meadows and I began thinking, for the first time, of suicide. I had not the strength to carry on the struggle; I was wrung out, physically and spiritually. I entered the forest and began seeking a stout branch from which to hang myself. I removed the belt from my nightgown, plunging deeper into the forest. The prickly shrubs and twigs tore at my skin and drew blood, but I did not feel any pain. An inner compulsion drove me on, until I stumbled against a fallen tree and sat down. My feverish brain played tricks on me: I was surrounded by hostile peasants, by Gestapo men, by bloodhounds. I must get up and run. I closed my eyes but could not shut out the images of my pursuers, tormentors; they were gaining on me, coming closer and closer. My pulse beat wildly, my temples hurt. "You must be going out of your mind -" I said to myself. Suddenly I perceived my mother's face and heard her gentle but urgent voice: "No matter what happens to us, you must live... This is my last wish -"
I sat on the fallen tree for hours, unmoving, as though I'd turned to stone. Night spread a thick mantle over the forest. I possessed neither the strength to live or to die. I don't know whether I slept or not, but when I opened my eyes, shafts of light stabbed at the damp ground near me. I raised my eyes and saw rays of the sun penetrating the thick foliage. It was morning. The birds were singing. The world was stirring, alive. I took out my little mirror and gazed at my own image. What I saw, shocked me. I did not recognize myself. My eyes were sunken deep in the caverns of my sockets; my face was pale, bloodless. An urge to live seized hold of me. "You must live -" my mother whispered. I rose with great effort. My legs were stiff and I rubbed them furiously to restore the circulation of the blood. I seized hold of a tree to keep from falling. My eyes were filled with tears, but I felt a reawakened desire to live. I combed my hair, put on lipstick, pinched my cheeks to put the flush of life into them and started out of the forest. After walking a short distance, I spied a house and knocked on the door. "Jesus be praised!" I said, when the door opened. I was invited inside and treated to a large bowl of food. Eating my fill, I thanked my hosts and left. I walked a long time until exhaution overwhelmed me. I saw a trim little white house and started toward it. What made me feel salvation was there I don't know. Was it fate? An accident? But there, in that trim little house, I found what I was seeking. The wonderful people who lived there, took me in and gave me shelter. I will not take up space here to describe my stay with the Polish family Ostrowski. During my stay with them, I was surrounded by warmth and friendship. Nobody in the family knew that I was Jewish, until the day the Russian patrols first entered the village and I revealed the secret to my hosts. After the liberation of the village, I decided not to put off returning to Gombin. In our letters, my brother and I vowed to go back to Gombin, soon as the war ended, and wait for each other in my parents' house. Pan Ostrovski tried persuading me not to go; the highways were clogged with military vehicles and unsafe for a young woman. But I was very eager and found it impossible to put off. Old Pan Ostrovski escorted me to the highway and helped me get on a Russian military truck that was heading in the direction of Gombin. The trip took several days. NightsI slept in villages. We passed through Sierpce and Mlawa. When the truck came near Gombin, I asked the driver to stop at the outskirts and let me off. I was determined to make it the rest of the way on foot. It was a cold January day. All that I saw was familiar, part of my childhood and recent past: the woods, the meadows surrounding the town, the paths. A lump in my throat, I gazed through tear-filled eyes at the dwellings, my town. I walked slowly, hoping to arrive at the house at twilight, one thought alive in my mind to the exclusion of all else: was he alive? Was my brother there, waiting for me? Entering Gombin proper, I lowered my head to avoid being recognized. It was evening. The streets were empty. My legs, as though posessing a will of their own, carried me nearer our courtyard. Reaching our house, I stopped and raised my eyes. The house looked neglected and empty. A door opened in a nearby house and a woman came out. She gazed at me and smiled in recognition. "Our Miss is back," she said, embracing me. "Quick, go inside the house, your brother is waiting!" 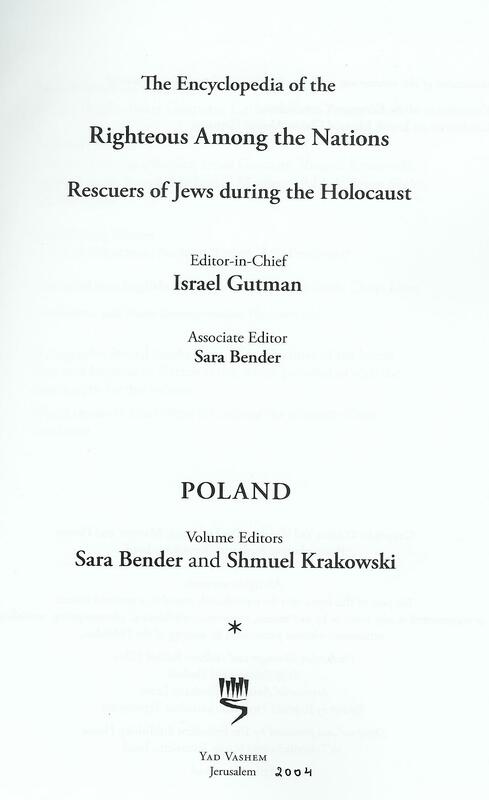 In March 1942, a short time before the liquidation of the Gąbin ghetto in the Warsaw district, Rosa Grynbaum and her brother Albert escaped from the ghetto. After considerable wandering throughout the countryside, they arrived in the village of Kocewo in Biezun county, Warsaw district. There they appealed for help to Jan Soldanski, a past acquaintance of their parents. Disregarding the danger to his life, Soldanski hid the two Jewish fugitives in his home and provided them with all their needs, out of a sense of moral obligation stemming from his religious faith. Grynbaum and her brother remained under Soldanski's protection until July 1943. However, because of the neighbors' suspicions, he was forced to move Rosa Grynbaum to the home of Witold and Boleslawa Ostrowski, good friends who owned a farm in the nearby village of Budy Piaseczne. She remained there until the Red Army liberated the area in January 1945. In the home of the Ostrowskis, she was treated with kindness and devotion in her time of terrible need and they neither asked for nor received anything in return. Albert Grynbaum hid in the home of Helena Grabarek, who lived in the village of Niedzieliska in nearby Lowicz county, where he remained until January 1945. After the war, Rosa and Albert Grynbaum immigrated to the United States and in 1987 Rosa visited Poland and met with her benefactors. On March 9, 1994, Yad Vashem recognized Boleslawa Ostrowska, her husband, Witold Ostrowski, and Jan Soldanski as Righteous Among the Nations. On March 13, 2000, Yad Vashem recognized Helena Grabarek as Righteous Among the Nations.